The content of this article is sponsored by California Earthquake Authority. To find out more, please visit the California Earthquake Authority website. If you live in California, and you’re thinking “an earthquake will never affect me,” think again. California is earthquake country. And most Californians live within 30 miles of an active fault. California is sandwiched between the Pacific and North American tectonic plates, with the former moving northwest about two inches each year. The sliding between these plates comes with periods of rest interrupted by a sudden slip along cracks in the earth. These “fault ruptures” in turn cause the ground to shake. California earthquake risk is real. Scientists say the likelihood for California to experience a magnitude 6.7 or greater earthquake in the next 30 years is more than 99 percent. People living in California should be ready. Simple safeguards include practicing how to “drop, cover and hold on,” securing items in your home that can fall during an earthquake, and storing food and water. Homeowners also should consider earthquake insurance, as well as structural retrofits for older houses that include bracing the short wall between the ground and house, and bolting the house to the foundation. *6.7 matches the magnitude of the 1994 Northridge earthquake, which was the costliest earthquake in U.S. history, and 30 years is the typical duration of a homeowner mortgage. 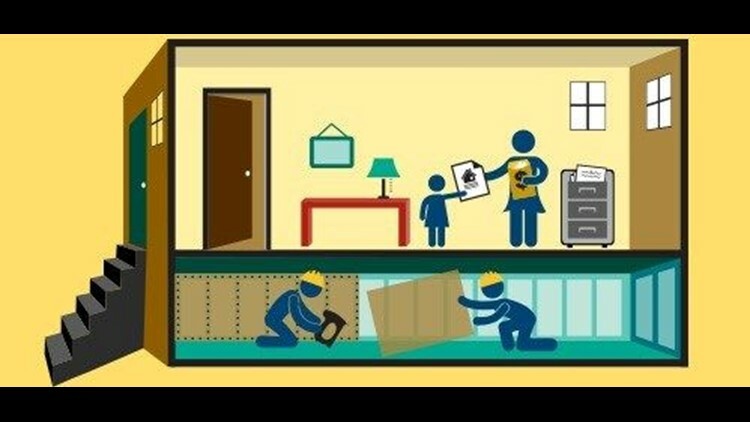 Know the Seven Steps to Earthquake Safety. Know the government won’t bail you out. Government assistance is not always available. If you qualify, grants are limited, and loans to rebuild may be less than you need – but like your mortgage, must still be repaid. Don’t have an earthquake policy? Then you don’t have coverage. If you don’t have a separate earthquake insurance policy, you must pay to repair or rebuild your home, or replace your belongings – as well as to eat and live elsewhere until repairs are completed. In other words, you will pay 100 percent of your recovery costs yourself. To learn more about earthquake risk, and steps to take to help get back to normal after a damaging earthquake strikes, visit www.EarthquakeAuthority.com.